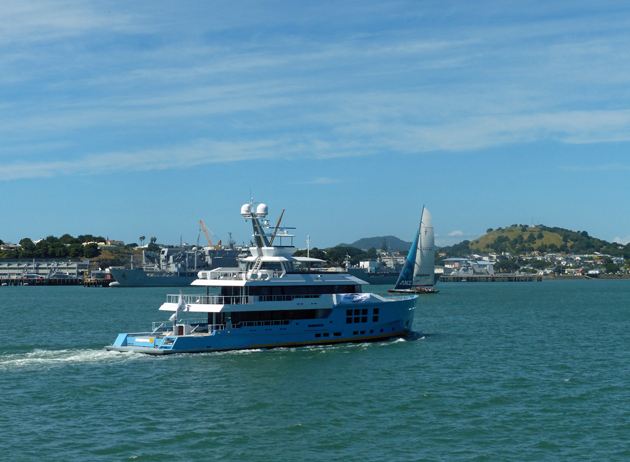 McMullen & Wing's new global adventuring 50-metre, which recently hit the water, has been photographed on sea trials off Auckland. 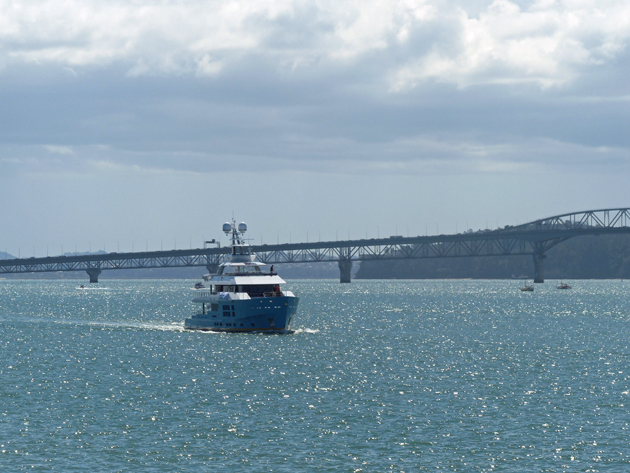 The yacht, which launched earlier in the month and now has her mast in place, was a spectacular sight as she made her way under Auckland Harbour Bridge towards open water. Gregory C. Marshall styled the yacht, and there are clear similarities with his previous McMullen & Wing design, the 45-metre Big Fish, which made an epic round-the-world cruise following her 2010 launch. McMullen & Wing’s chief executive Michael Eaglen told the NZ Herald that locals might see “some pretty interesting things” being loaded onto the new yacht in coming weeks as she is prepared for a life of global adventuring. Still known by her build designation of Project 1016, the steel-and-aluminium yacht’s name is being kept secret for the time being. She will remain at McMullen & Wing until handover in March or April. It is expected that McMullen & Wing’s 50-metre will have a cruising itinerary as extensive as Big Fish. The yacht sleeps 12 guests and sports a garden on the bridge deck, along with huge windows on the main deck. The best seat in the house is on the observation deck, accessible by a ladder from the sundeck. Guests will be looked after by a crew of 13.